Demi has recently entered a modeling competition for Tammy Girl. Visit http://www.tammyflipback.co.uk/Vote.aspx and search for Demi, then give her your vote to help her become the face of Tammy Girl. 7 - April - 2008 - Recent Talent Competition! Demi recently entered a talent competition with GWR fm in Bristol. She went through a series of heats, competing against adults gaining a place in the finals becoming runner up! Well done Demi! 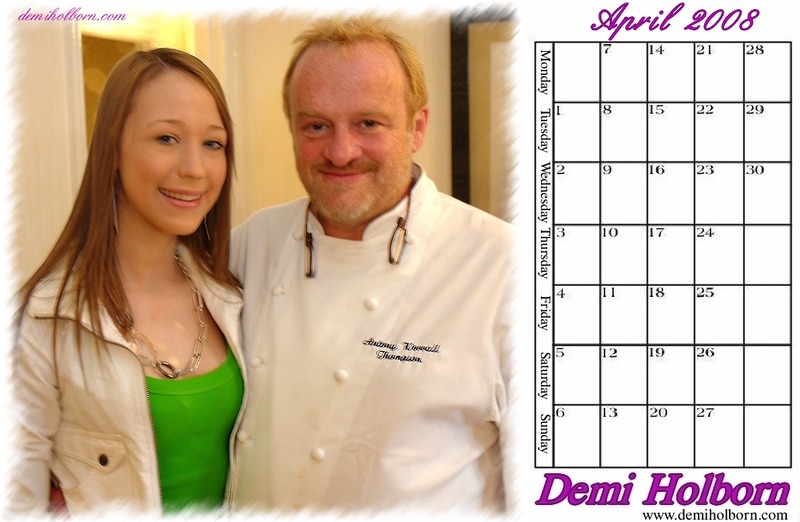 Demi's April calendar goes online. Each month a new calendar is updated and ready for download. Demi's March calendar goes online. Each month a new calendar is updated and ready for download. A big well done to RISE who is Demi's Hip-Hop dance group with Fahrenheit. They were ranked third place in the british championships held in Brean sands. Congratulations to all and a big thank you to Alex.